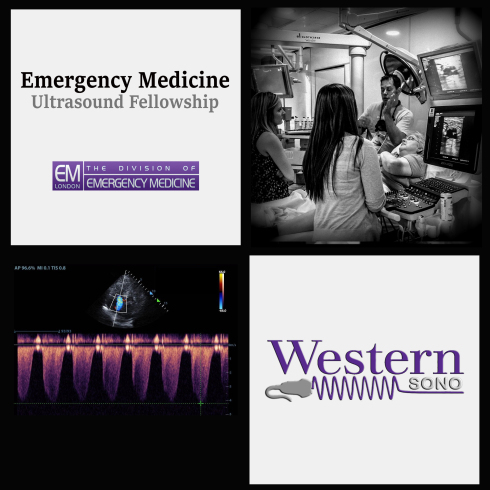 The Division of Emergency Medicine is pleased to announce we are offering a 1-year fellowship in point-of-care ultrasound and currently accepting applications. The Westernsono Ultrasound group decided it was time to share our enthusiasm in POCUS with the world and elevate our program to the next level. With a group of wide experience from both Canada and US based training, we aim to combine the best of both worlds to deliver a unique and cutting edge training program. Strong ties and friendships with leading POCUS experts in other fields within our institution gives us the ability to push the frontier of this exciting area of medicine. We look forward to bringing in trainees that continue to push us, yet can deal with the quirky and lighthearted approach many of us like to teach with. We do from time to time enjoy a few beverages as we review our images together and plan practice changing projects. 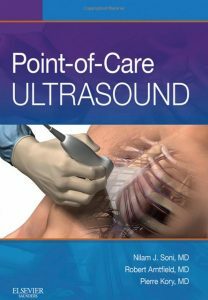 Our goal is to provide you with the expertise and ability to run your own Emergency Medicine ultrasound program. **Dec 2016 – Positions are now filled – Thank you for your interest and please stay tuned for future updates.